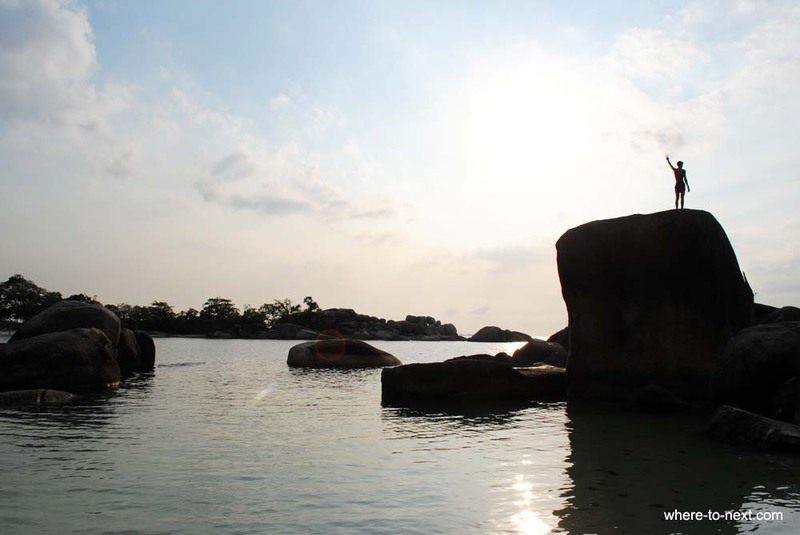 A tale of Pirates, Rainbow Warriors and Eco Warriors: Belitung Island. - where to next?where to next? 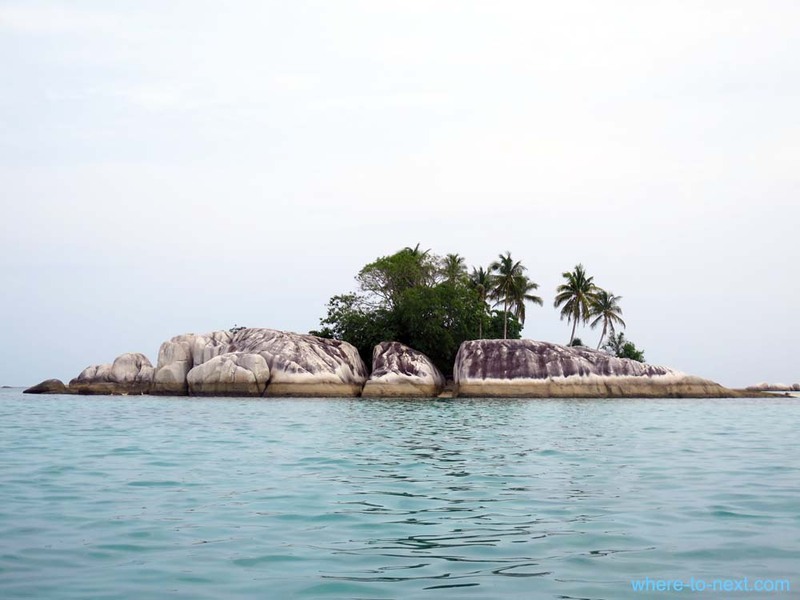 Home / Blog / A tale of Pirates, Rainbow Warriors and Eco Warriors: Belitung Island. The island is about the same size as Bali, but with roughly 10 per cent the population. And it’s quite suddenly become the latest favourite weekender for the busy city folk of Jakarta. Plenty of water sports on offer at Tanjung Tinggi Beach. That’s because one of its beaches is now a movie star. 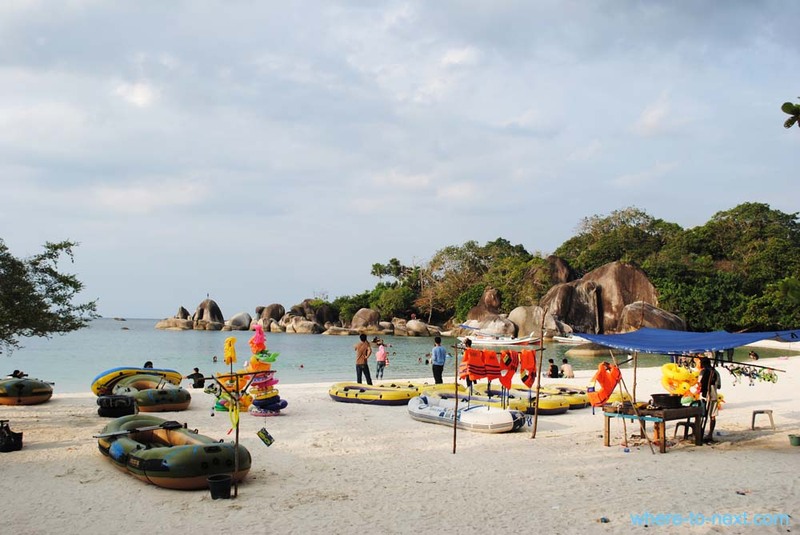 The beach, Tanjung Tinggi (Tall Bay) forms a perfect semi-circle of white sand and is framed on either side by large, round granite boulders. It was made famous by a memorable scene in a blockbuster movie called Laskar Pelangi – or Rainbow Troops. The movie itself is the screen adaptation of a best-selling novel, written by a Belitung resident. Granite boulders dot the coastline at Tanjung Tinggi. It follows the adventures of a group of 10 schoolboys and their two inspirational teachers as they struggle with poverty and develop hopes for the future in this remote farming and Tin-mining Island. Luckily for this beach, and perhaps ironically, the movie’s success got the locals thinking that tourism might be a better option than tin mining or palm oil plantations. According to geological surveys there are large deposits of tin underneath the beach and fringing reef. There is already enough tin on the island (without tapping into these deposits) to keep a mining company in business for 100 years and thankfully, the residents of Belitung are not quite so short-sighted to tap into this money making, coral reef destroying resource just yet. Be sure to grab a coconut from one of the warungs at Tanjung Tinggi. 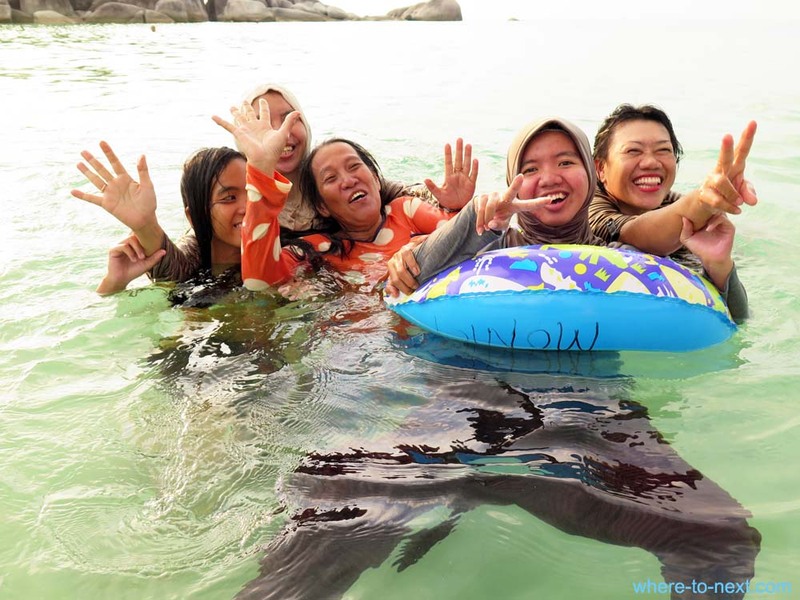 Local environmental groups have managed to convince Belitung’s governor that the island will benefit financially from tourism, and as the island’s economy is fairly healthy anyway, the reef is safe. Presumably at least for the next 100 years. The island’s domestic tourism success has now got them thinking about trying to attract visitors from further afield. Why not share in Bali’s success as a tourist destination? It would be nice to see this happen, and even nicer to see it happen sustainably, so hopefully saving the coral reef from certain destruction at the hands of a mining company is setting the right tone for future development. While the island doesn’t have Bali’s rich and colourful culture, it has an interesting history none-the-less. 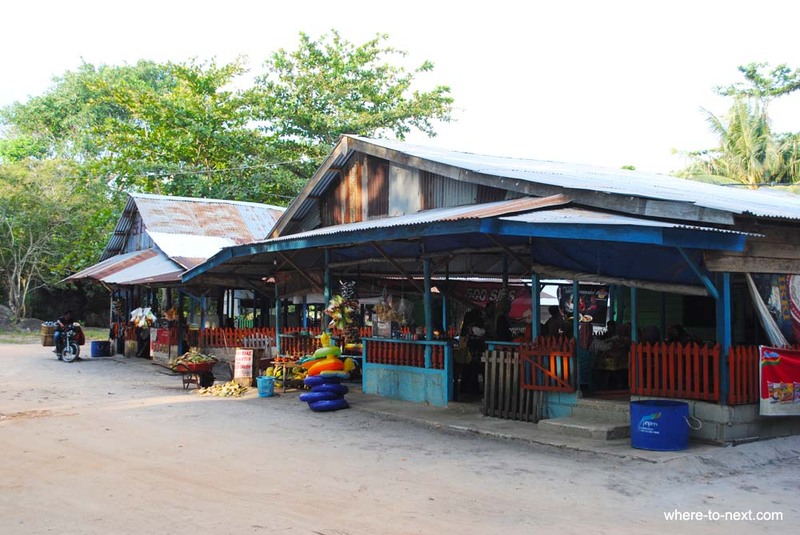 There is no true indigenous population on the island, the people here are a mix of immigrants from other parts of Indonesia and South East Asia. A Malay family clearly having a lot of fun at Tanjung Tinggi. The island first found its calling as a launching pad for pirates targeting the British East India Company back in the 1800s and is now populated by a mix of races and cultures, with the earliest Chinese, Filipino and Malay settlers presumed to be descendants of those pirates. White sandy beaches surround the island and the coastline is dotted with around 180 smaller islands, each decorated with the signature round granite rocks and the odd palm tree. Island hopping therefore is a favourite pastime for visiting tourists. There are literally dozens of idyllic photo opportunities to be found on the many little atolls that surround Belitung. On my second day in Belitung, I decide to explore a few of its reefs, while the rest of my travelling companions go island hopping. 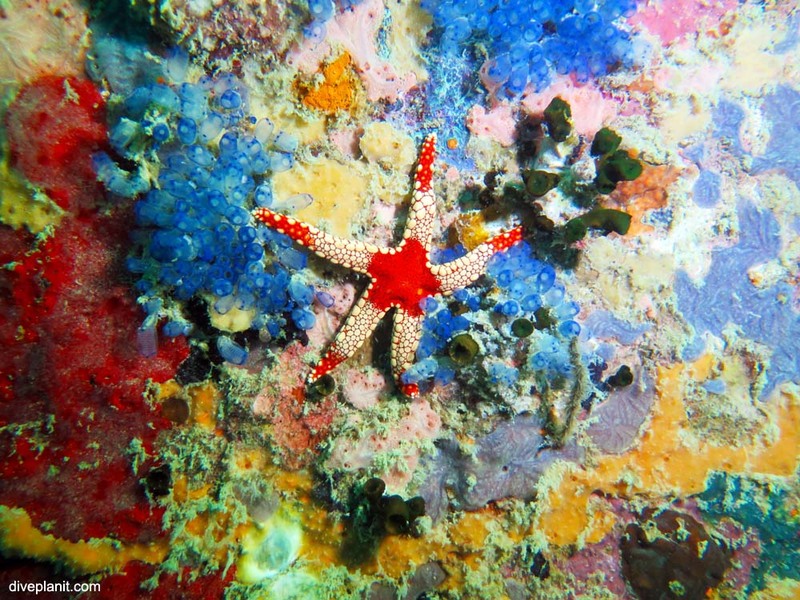 A starfish clings to the hull of Lighthouse Wreck, near Kepayang Island. My underwater exploration starts with a small shipwreck in the channel between Lighthouse Island and Kepayang Island. The visibility on the wreck is not great, but it’s teeming with life and covered with brightly coloured soft corals so it was great fun exploring its nooks and crannies. 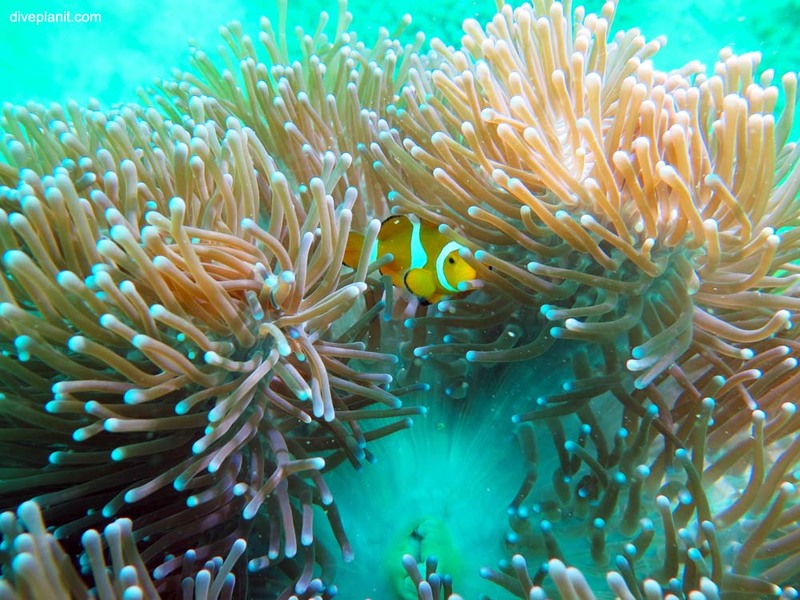 Shy anemone fish, found diving at Cepor Cepor dive site, near Kepayang Island. Next up we head closer to Kepayang Island to wander through the coral gardens that lie around it. The visibility here is much better and there is a greater variety of hard and soft corals. I was impressed to see my dive guide pick up the odd piece of plastic litter found during our dive, and later found out he volunteers with one of the local environmental groups. 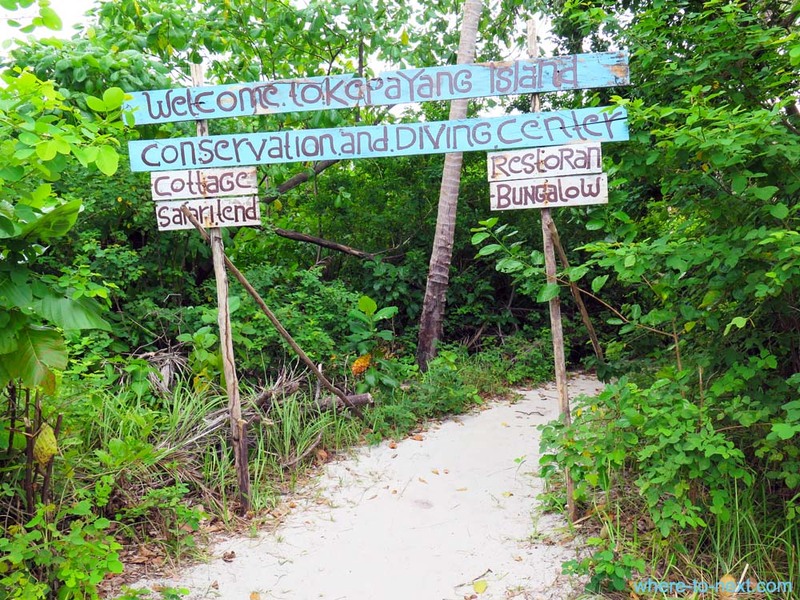 Entrance to Kepayang Island Conservation and Diving Centre. I found out a whole lot more about these groups when we caught up with the rest of the group for lunch on Kepayang Island. The island has a little warung at one end, popular with island hopping day-trippers and at the other end, there is an eco-dive resort and turtle sanctuary. 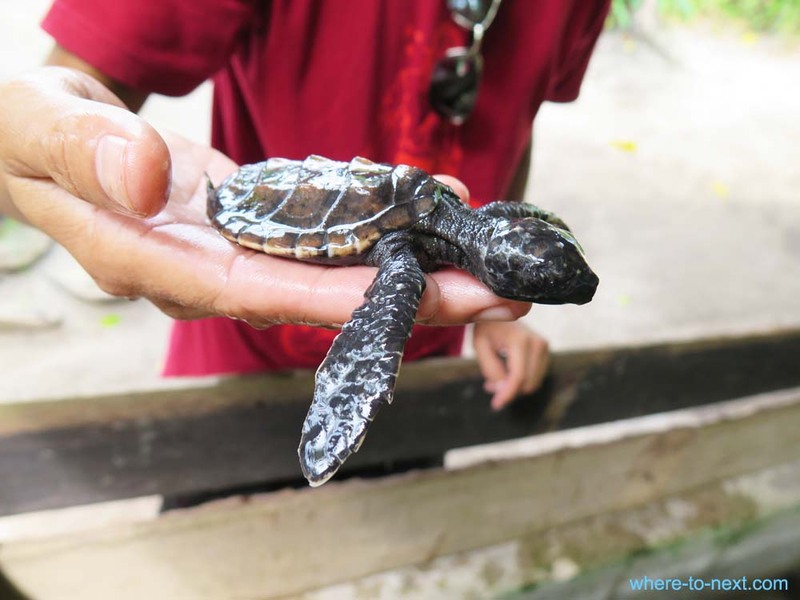 Budi introduces us to a hatchling at the turtle sanctuary. This is where I met Budi Setiawan, the individual behind this eco-resort and, at last count, four conservation projects on Belitung, protecting the reefs, the mangroves, the rainforest and the endemic tarsius monkey population. Budi’s big picture project is called Ridge to Reef, and combines research with education centres and eco-tourism. Both here on Kapayang Island and at the tarsius sanctuary there are eco resorts, and Budi runs a whole range of educational and motivational tours and courses for guests ranging from school students to corporate teams. 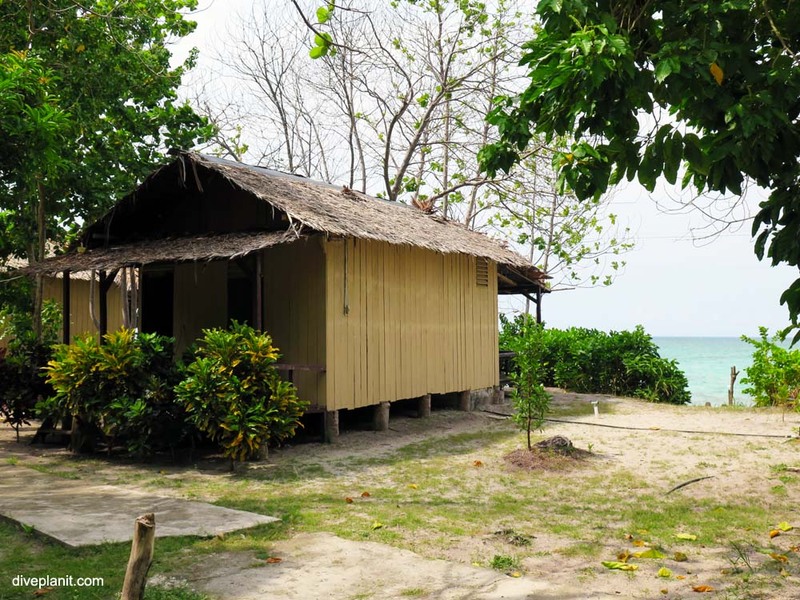 Budget accommodation at Kepayang Island Eco Resort. 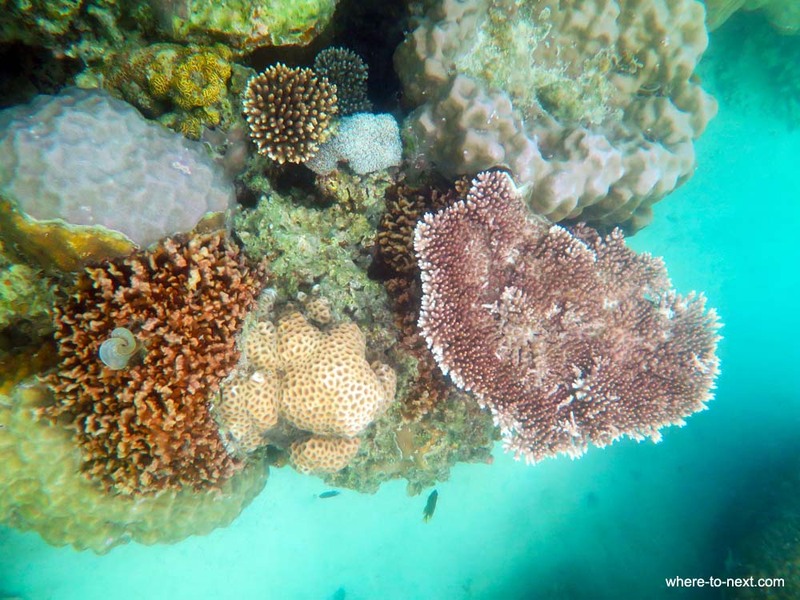 On Kepayang Island, guests can snorkel and dive on the nearby reefs, learn about the threats to the coral and even plant their own piece of coral as part of the reef regeneration project. After returning home, for a small donation, you can even follow the progress of your little piece of coral, with updates emailed for six months (longer if you continue to donate a few dollars). During their stay guests also get to help care for the turtle hatchlings at the sanctuary, and learn about the numerous threats responsible for their rapid population decline. Roughly 40 minutes drive from here is another, quite different eco-resort. At the Batumentas Eco-Lodge and Tarsius Sanctuary, you get to stay in tree houses and take part in a wide range of activities including jungle-trekking, river tubing, high ropes courses and ziplining. 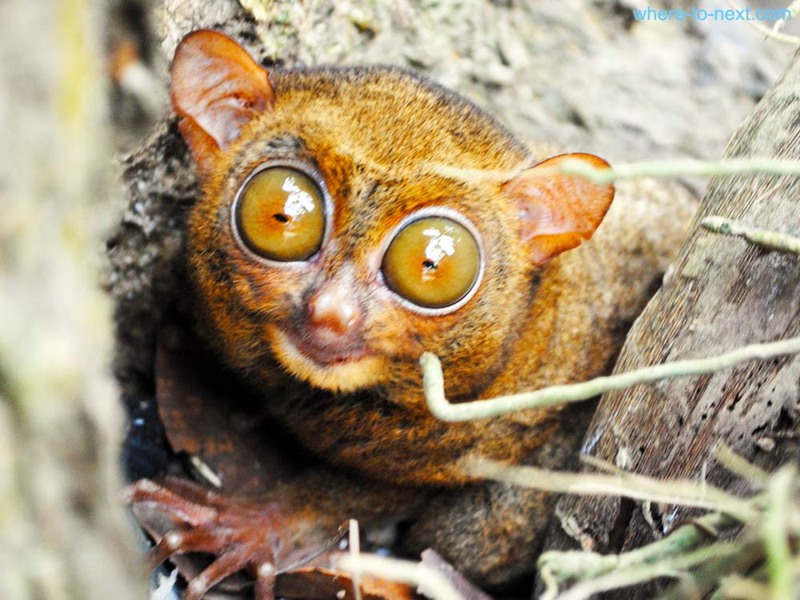 The proceeds of the eco resort go to the wildlife sanctuary and ongoing tarsius research program. 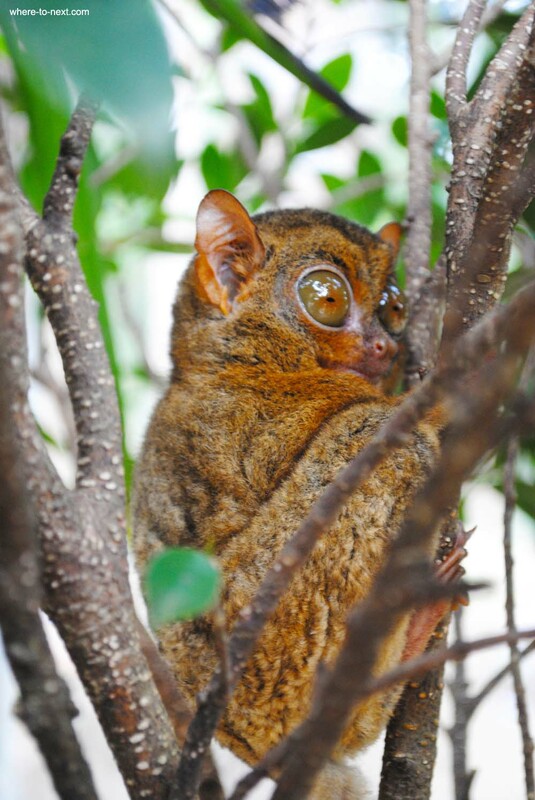 While the sanctuary is home to a variety of endangered flora and fauna, the tarsius is significant because until this research program got off the ground seven years ago, its existence was unknown. It makes the surrounding rainforest here a bit more valuable, which makes it all the more important to protect. This tiny tarsius monkey at Batu Mentas Sanctuary, is doing his bit to help conserve the surrounding rainforest. The biggest threat to the environment here is not tin mining; it’s palm oil plantations, which are creeping their insidious way across native rainforest. 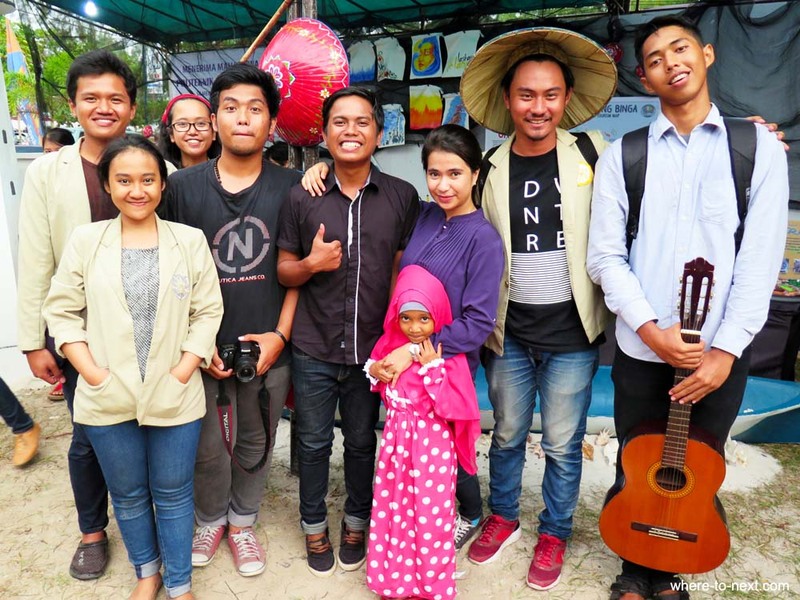 While this is not an unusual environmental issue in Indonesia or nearby countries, it’s reassuring that on this small island there are individuals like Budi with the passion, knowledge and influence to do something about it. In fact, in the short time I spent on the island, I met a number of people who are actively doing something to make a difference. Even our tour guide is campaigning for the ban of plastic bags. Students from Yogyakarta University finding solutions for plastic pollution in a nearby village, selling ‘trashion’ at the trade fair. 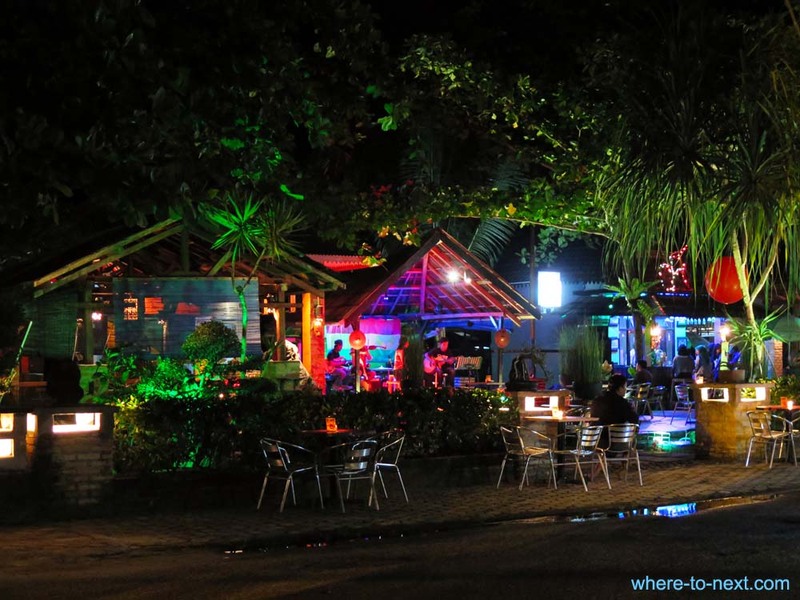 On our last evening here we wander across the road from our hotel in downtown Tanjung Pandan to explore the beachfront cafes and find a trade fair in full swing. 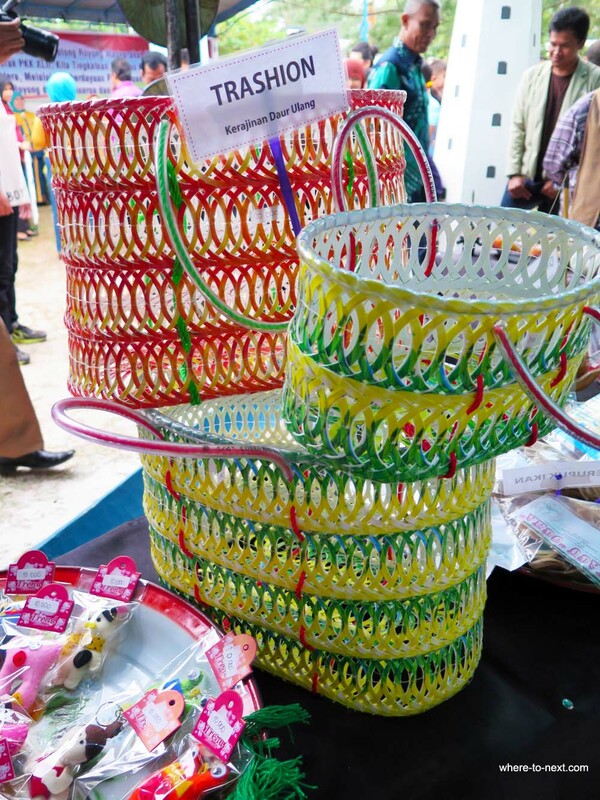 Innovative reuse of plastic: “Trashion”, on display at Belitung Island trade fair. Here we meet even more champions for the environment; students and village groups demonstrating creative ways to reuse plastic waste, fisheries representatives educating visitors about the island’s biodiversity and organic produce distributors promoting the spice that first made this island famous: pepper. 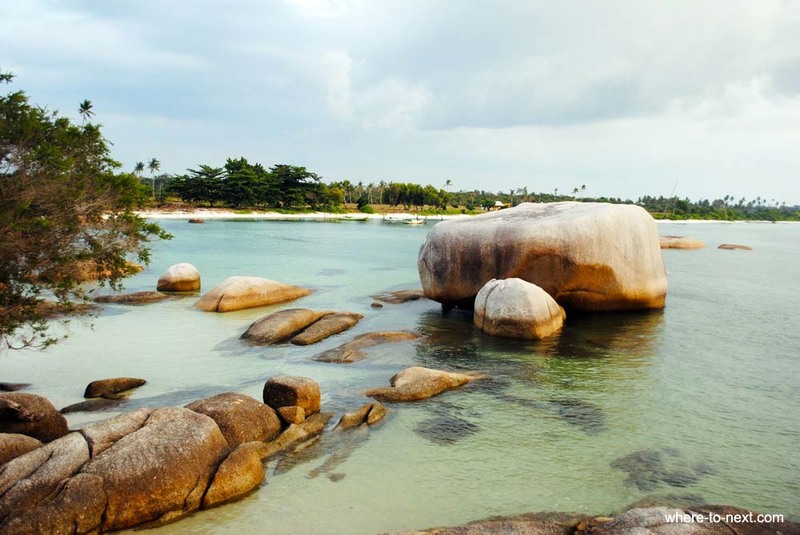 So if Belitung Island is successful in its quest to become the “Next Bali”, let’s hope the success is sustainable. The people here are certainly starting off with the right intentions. The writer was a guest of Visit Indonesia Tourism Office. Beachfront bars at Tanjung Pandan, Belitung Island. Next Article Senses of the South: an exploration of the South Coast and female friendships. Gorgeous pics! And love that the locals are doing their bit to keep it sustainable. Thanks Aleney! Yes – it’s wonderful to see a community of locals that care enough about their home to step up and do something to conserve it. There are significant issues with plastic waste here – no clean drinking water (so bottled water everywhere) and no efficient recycling processes so they have a bit of a battle to fight.